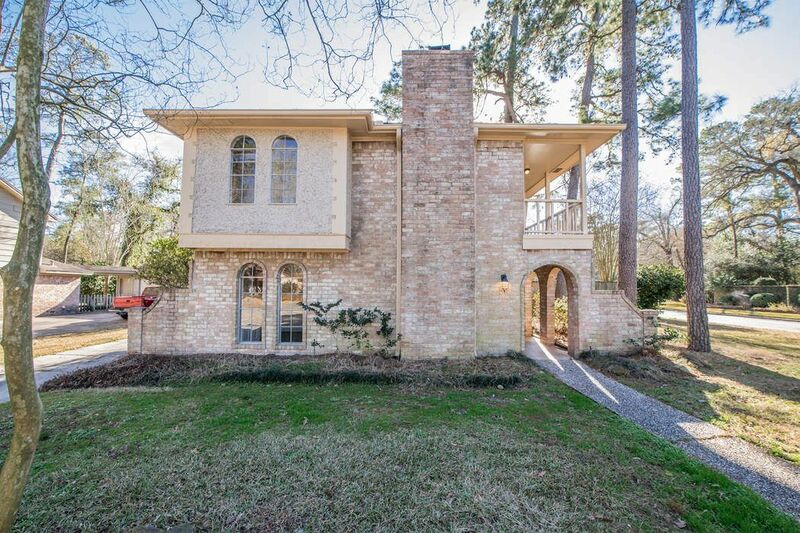 2214 Pine River, Kingwood, TX 77339 | Martha Turner Sotheby's International Realty, Inc. 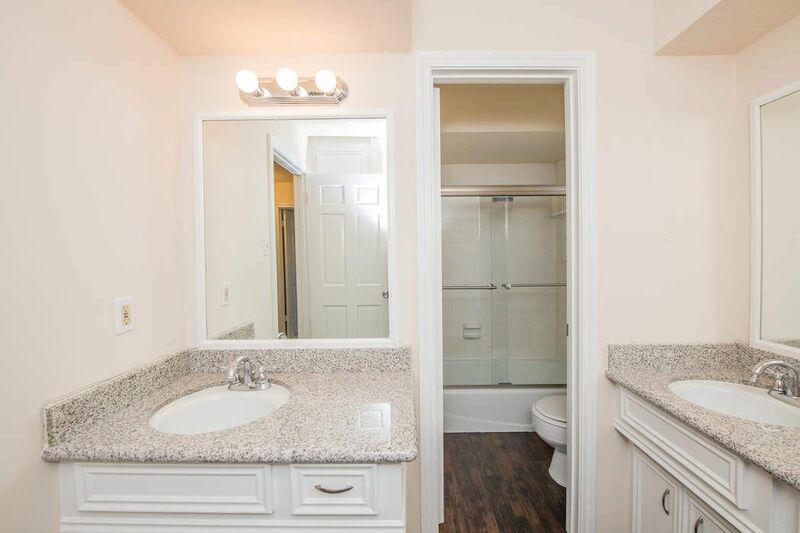 Completely remodeled in December 2017! 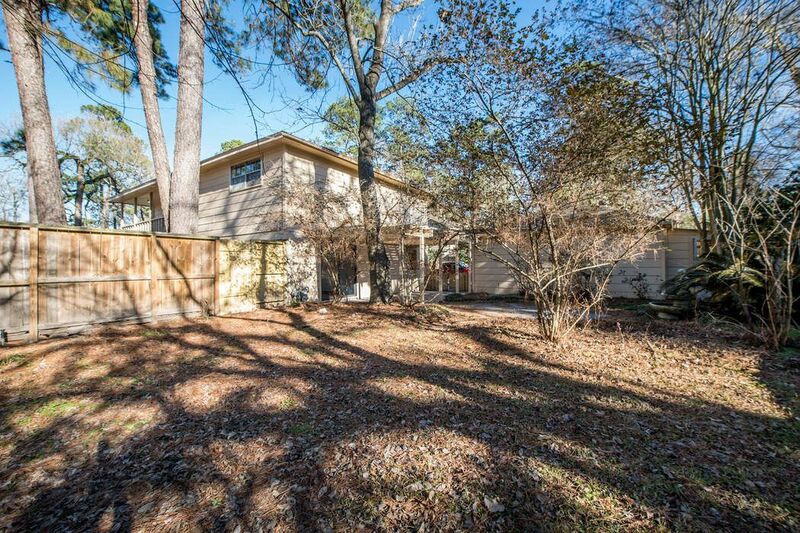 Located in Kingwood, this home did not flood in Harvey! 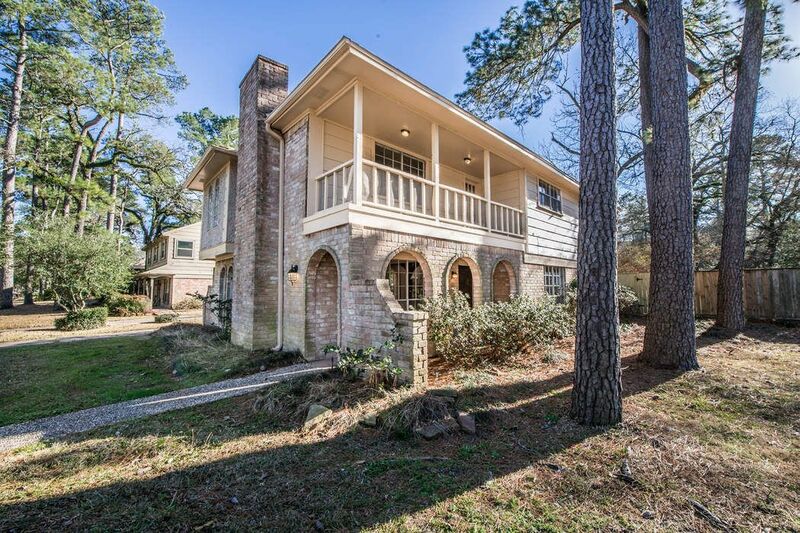 This stately brick home with an upstairs balcony off of the master bedroom is located in Kingwood, TX. 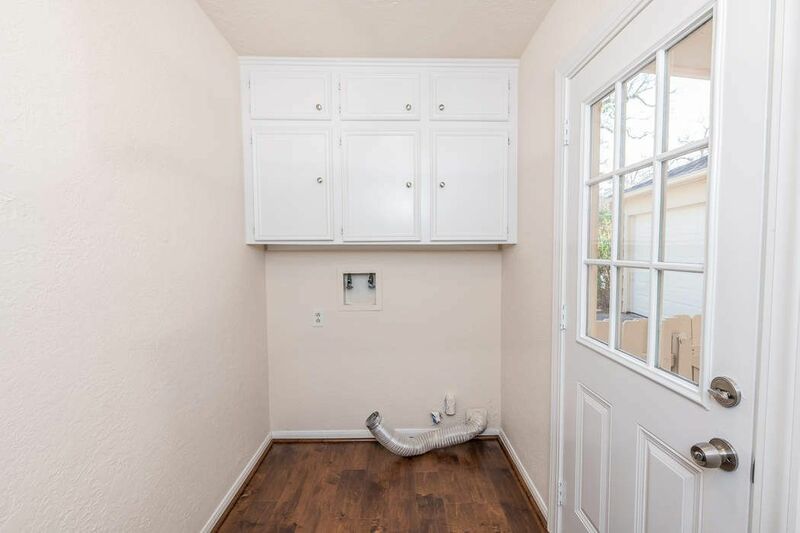 This home did not flood. 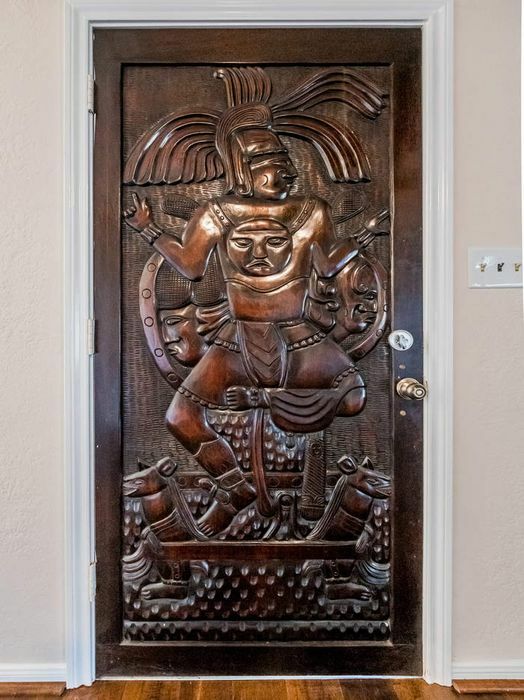 This is the walkway to the solid wood front door. 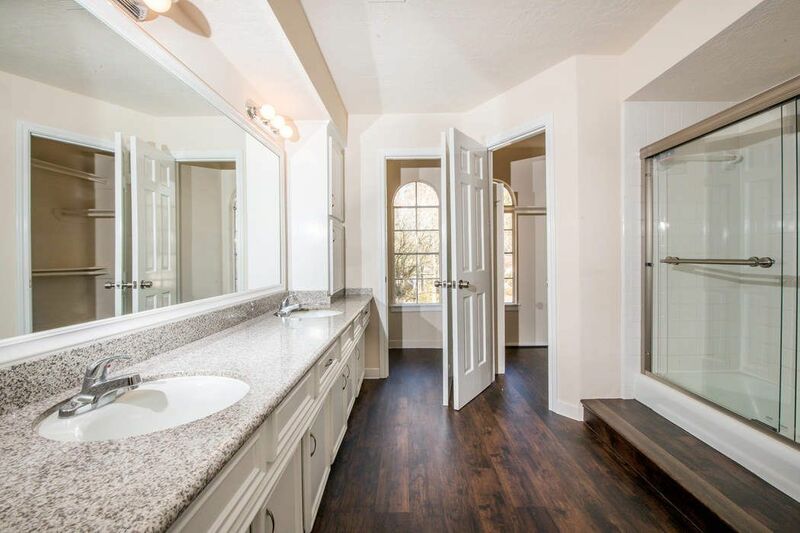 Completely remodeled in December 2017! 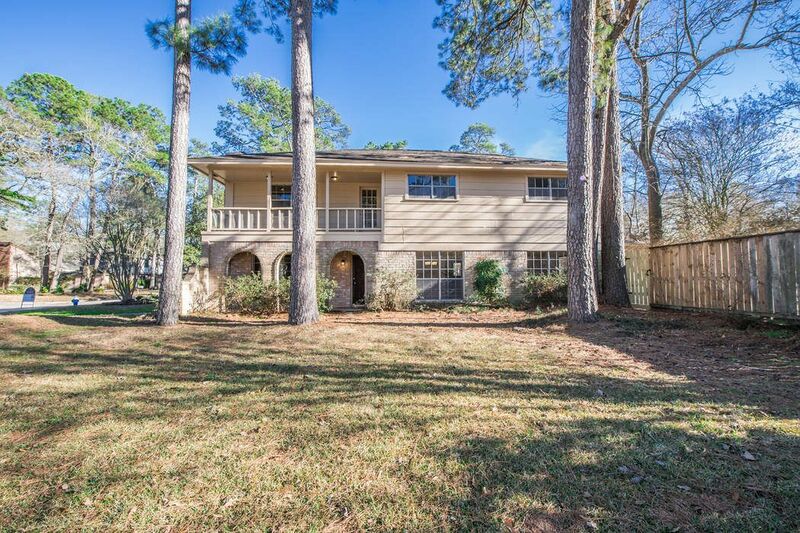 Located in Kingwood, this home did not flood in Harvey! 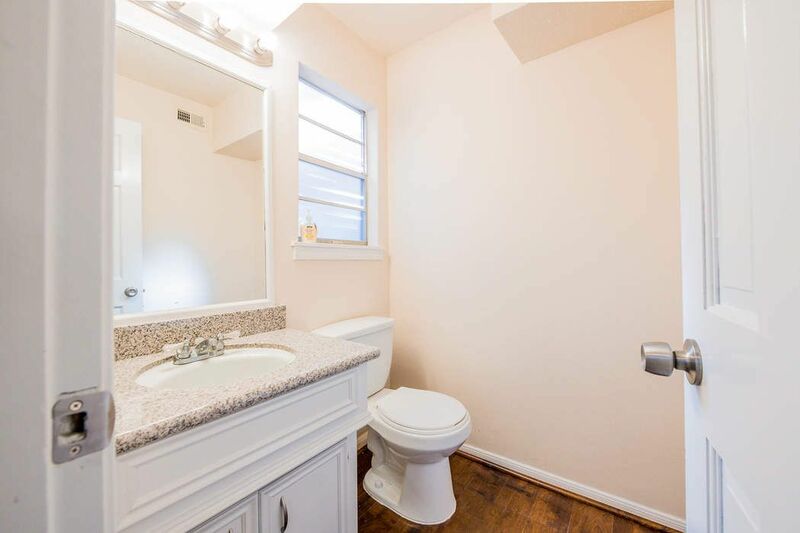 Beautiful corner lot. The open living/dining room with beautiful new hardwood floors and newly carpeted stairs awaits just inside the unique front door. 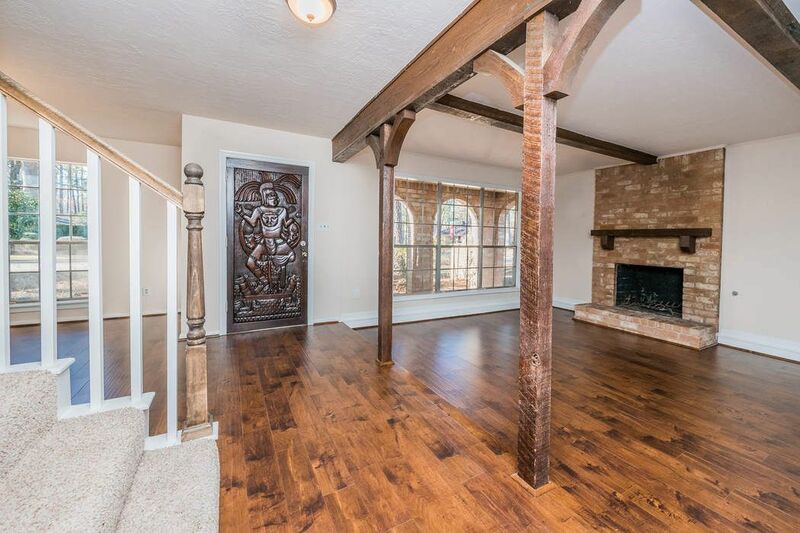 Hardwood beams and columns compliment the brick fireplace and hardwood floors. 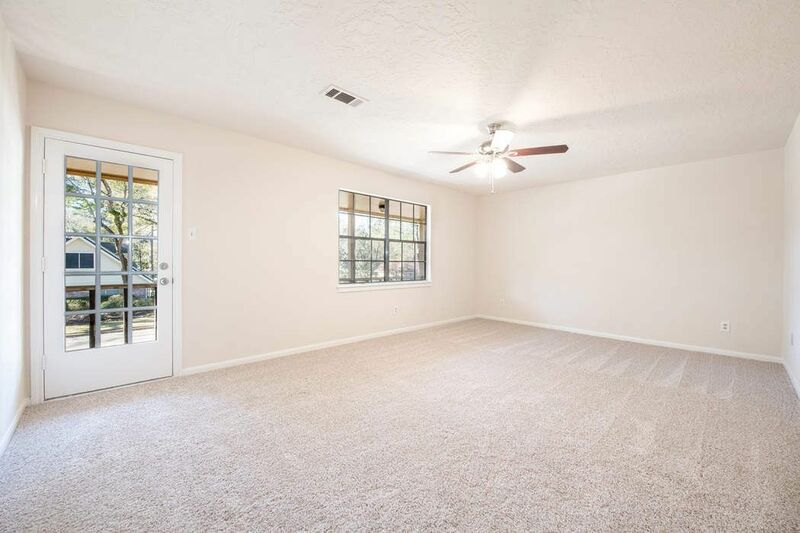 The open living room with beautiful new hardwood floors and newly carpeted stairs awaits just inside the unique front door. 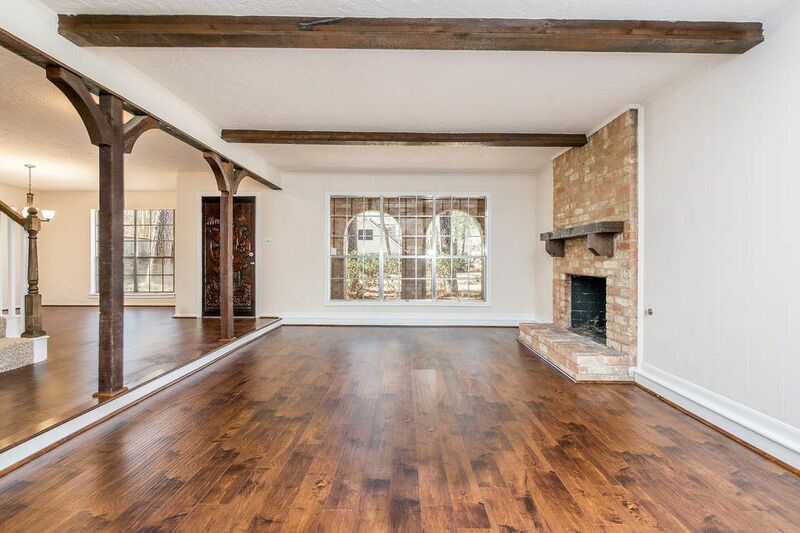 Hardwood beams and columns compliment the brick fireplace and hardwood floors. 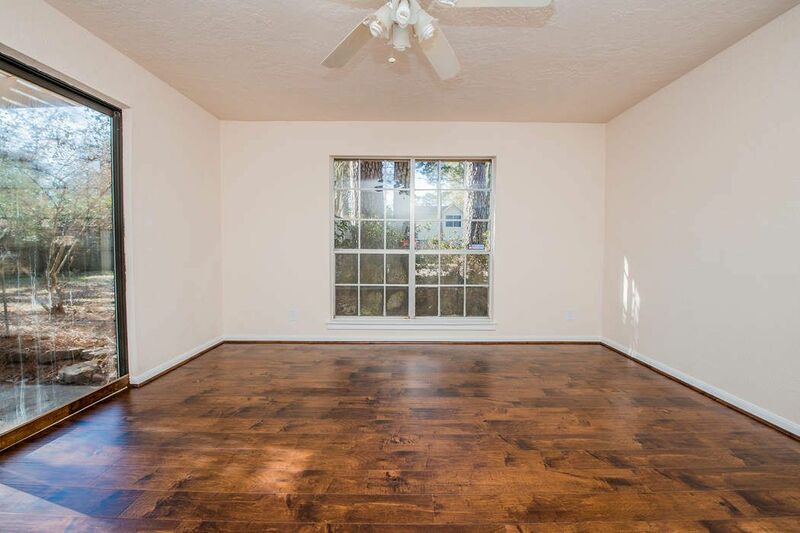 Large windows and lots of light in this room. 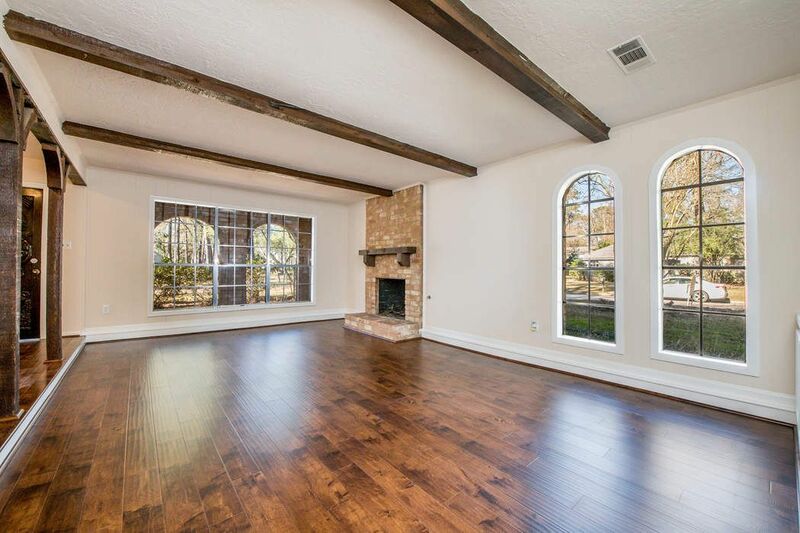 This is the view of the living room with the stairs on the left and the open dining room just beyond. 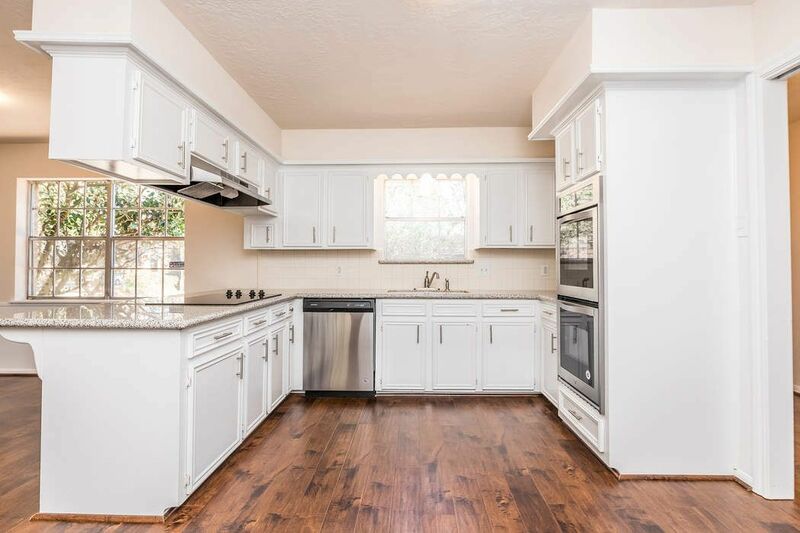 This kitchen has been completely remodeled with new grainte counters, new stainless steeel appliances and new flooring. 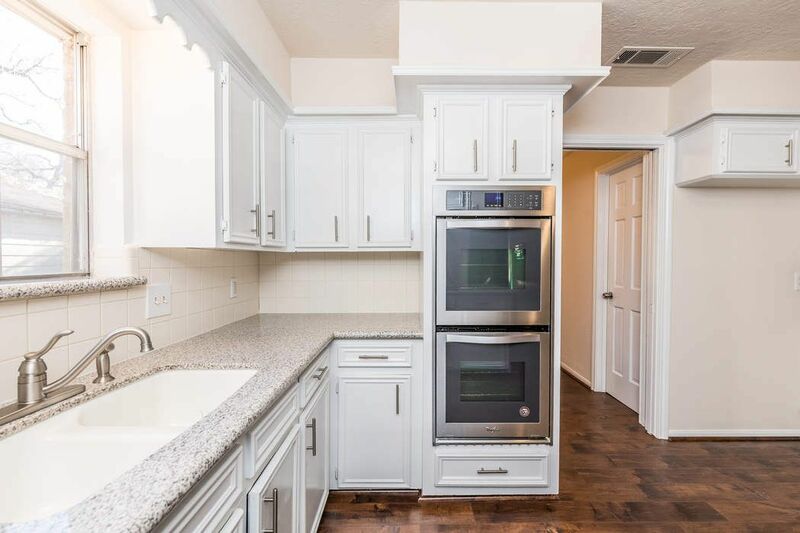 This kitchen has been completely remodeled with new grainte counters, new stainless steeel appliances and new flooring. 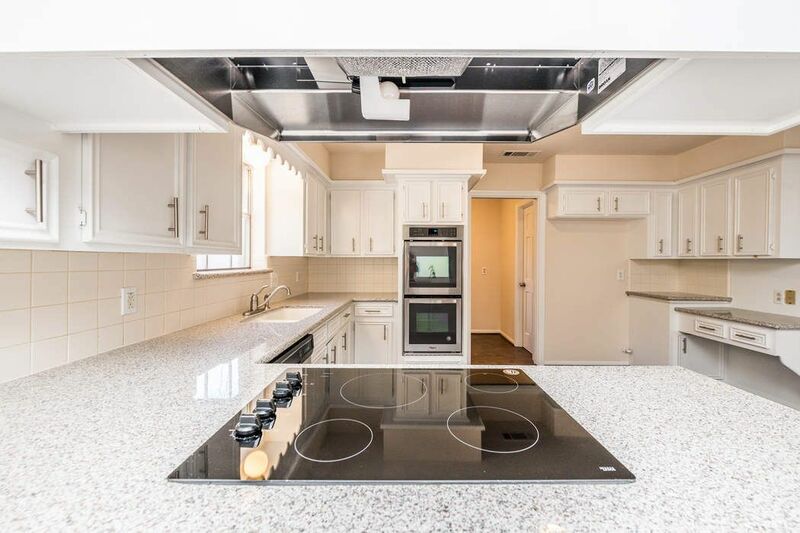 The kitchen area is open to the breakfast room with sight lines into the living room. View from the breakfast room to the kitchen. View from the kitchen to the breakfast area, into the wet bar. 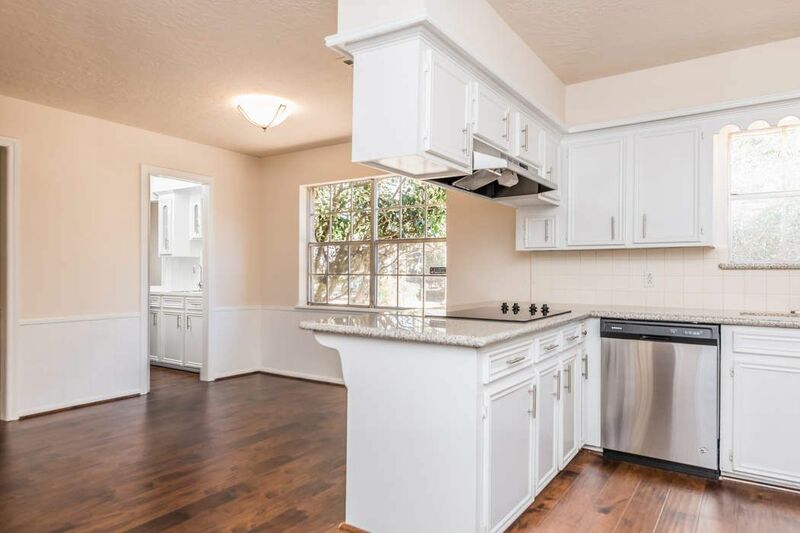 This new kitchen has white granite counters, all new stainless appliances and beautiful white cabinets. 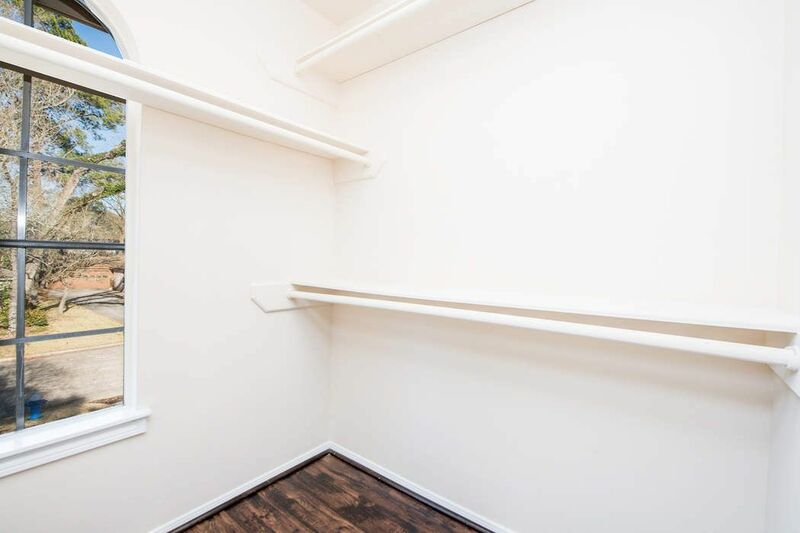 View of the desk area just off the kitchen, with the door to the bonus room. 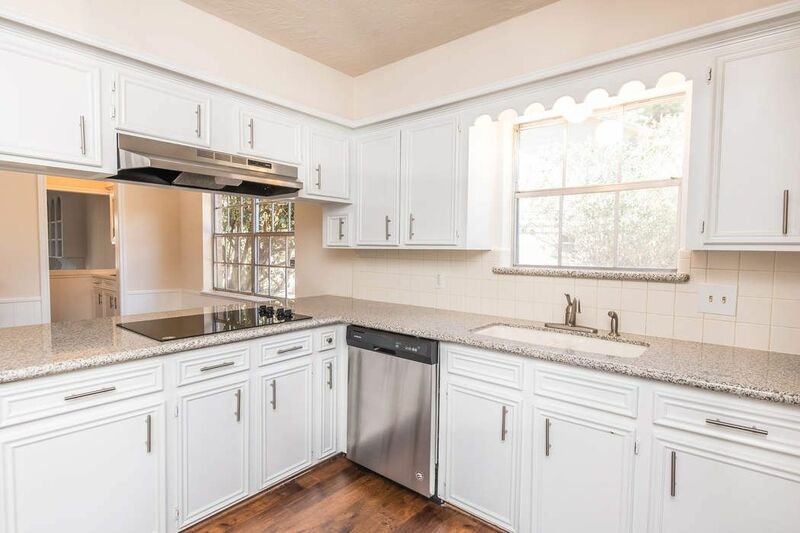 This new kitchen has beautiful granite counters, double ovens, white cabinets, new pulls and new faucet. 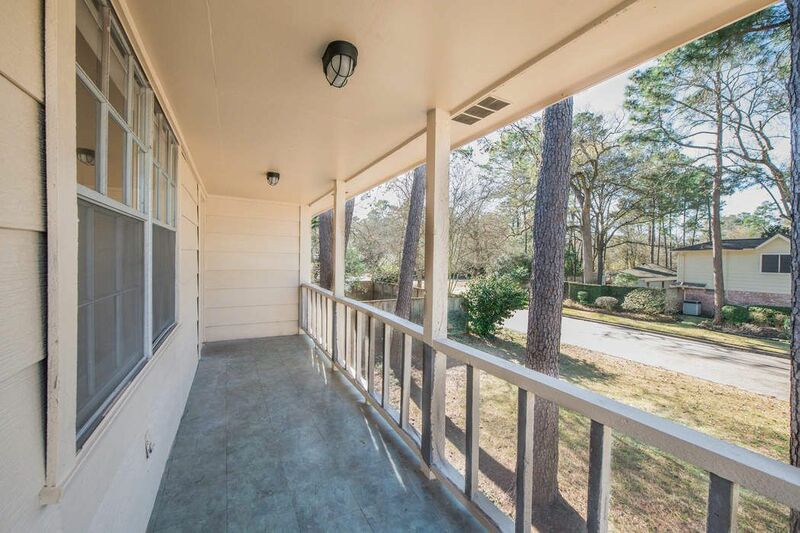 This is the laundry room and back patio exterior door. 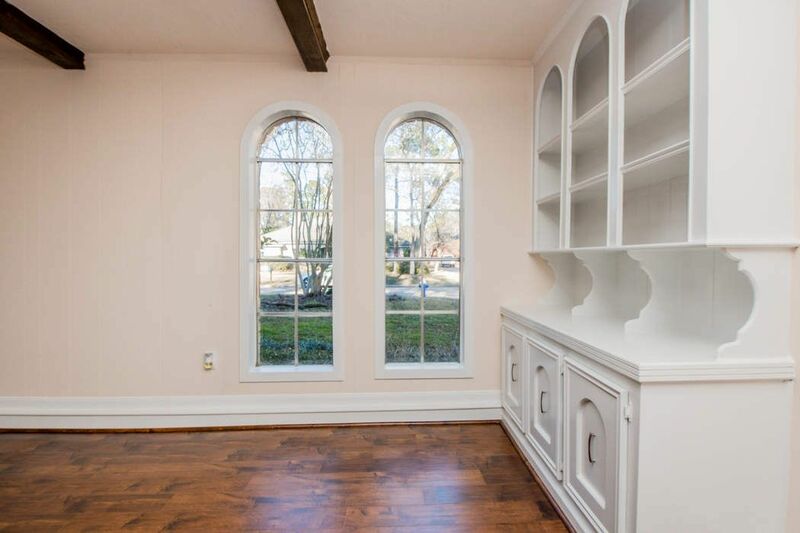 This is the breakfast room just off the kitchen, with the wet bar area to the left. 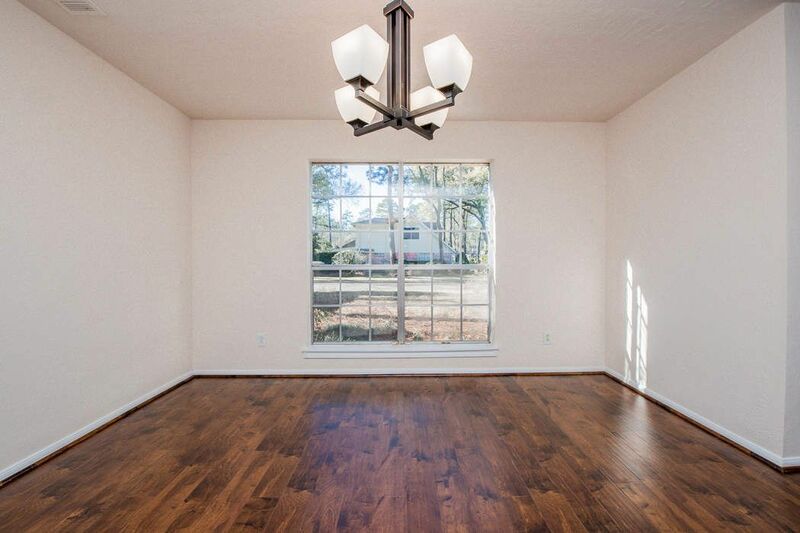 New light fixtures and beautiful new flooring. 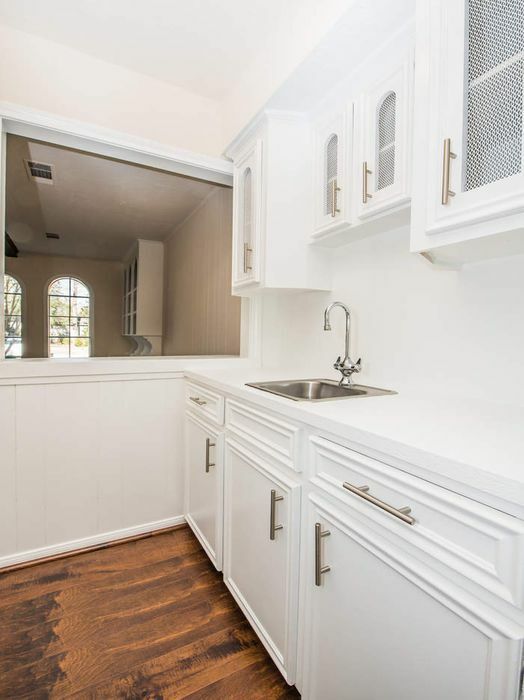 This wet bar is a bonus feature with white cabinets and new cabinet pulls and brand new hardwood flooring. 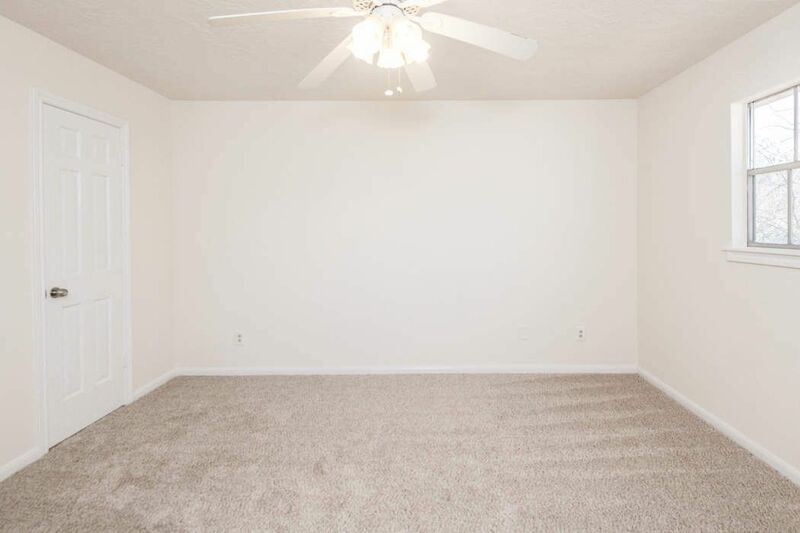 This bonus/flex room can be used for whatever you choose! 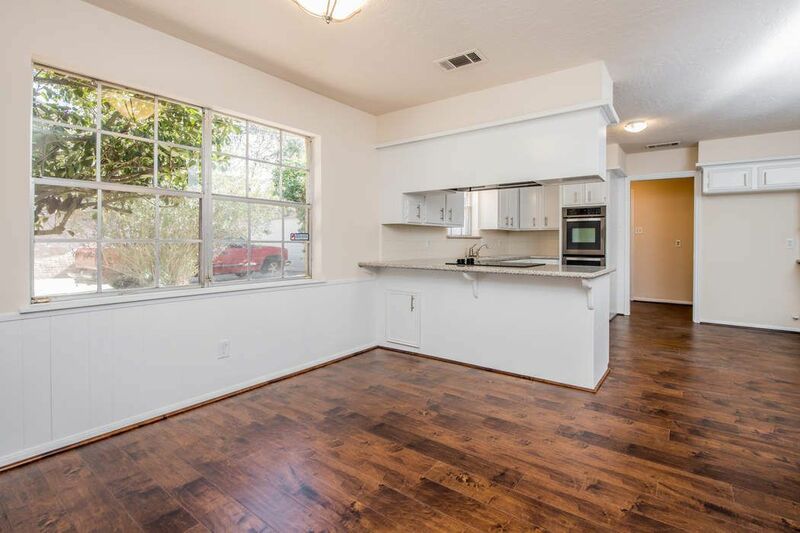 It is just off the kitchen and has a sliding glass door leading to the patio. 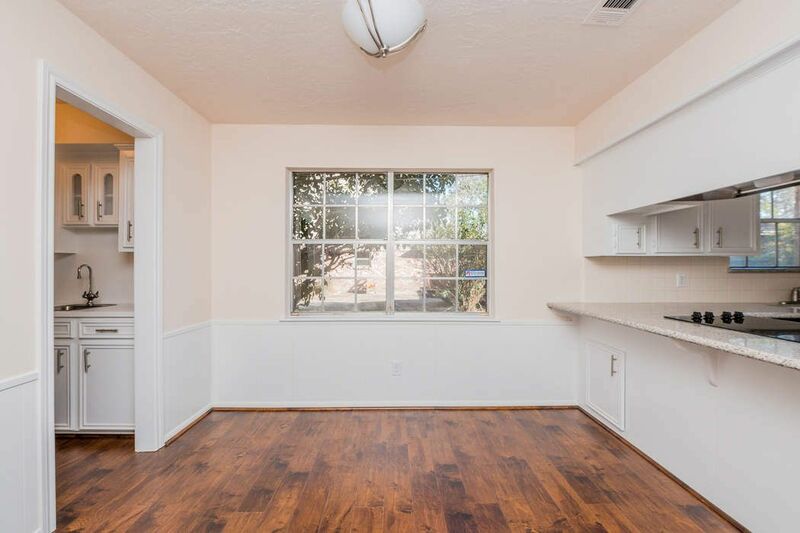 This lovely open concept dining room is at the front of the house, just off the living room. 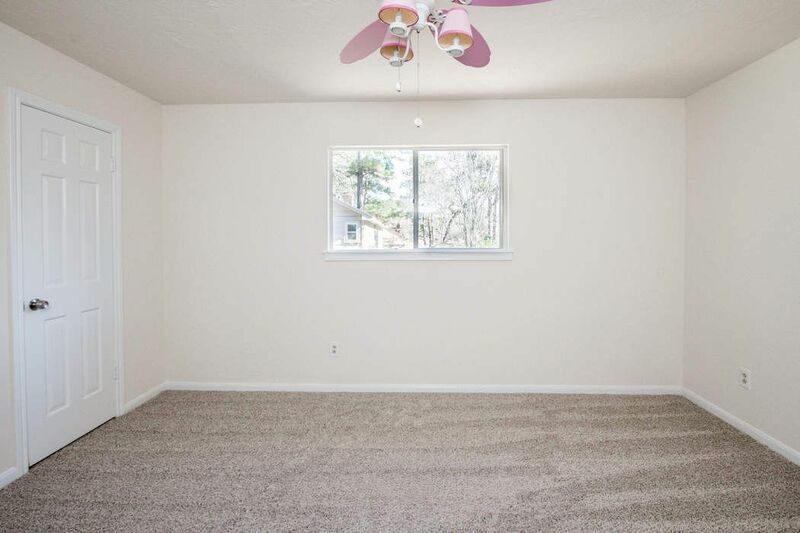 It has freshly painted walls, new light fixture and new flooring. 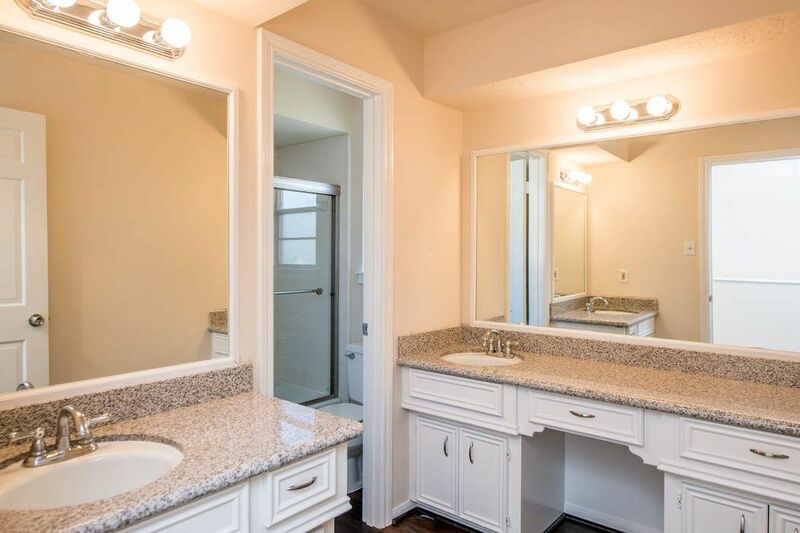 This large and lovely master bath has been updated with granite counters, white cabinets and new paint. 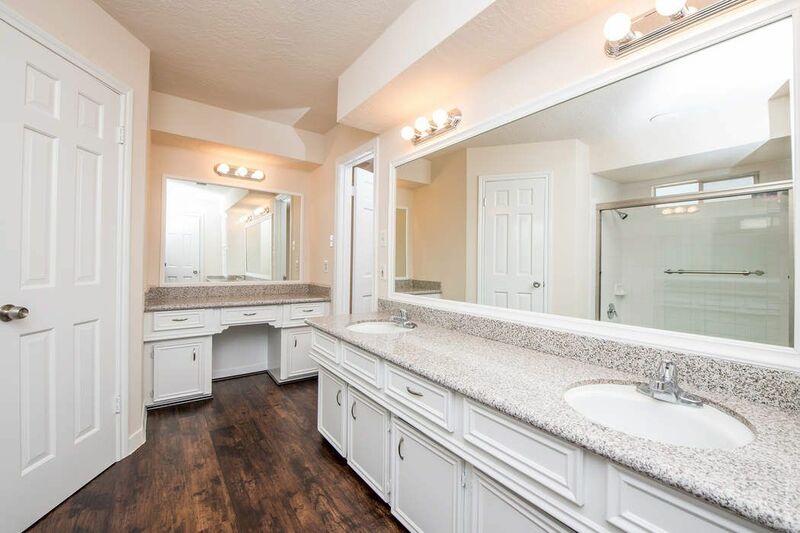 Updated master bath. 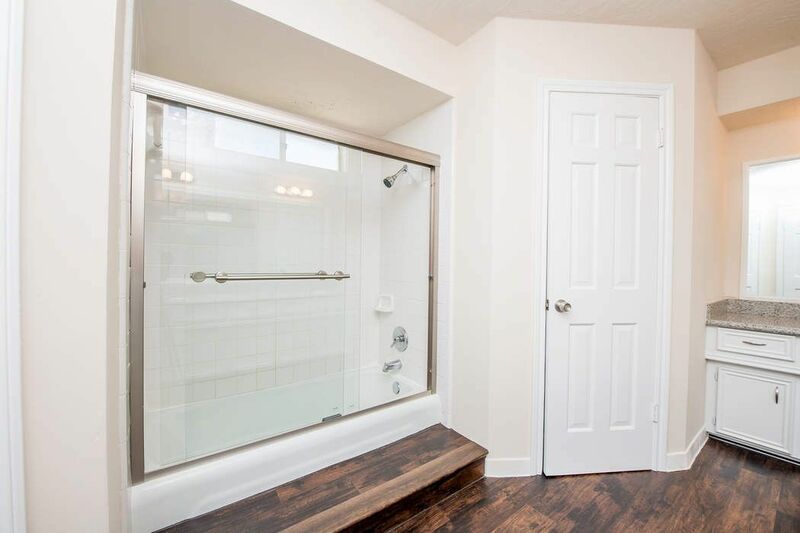 New shower surround, new wood flooring, new fixtures and new granite counters and faucets. 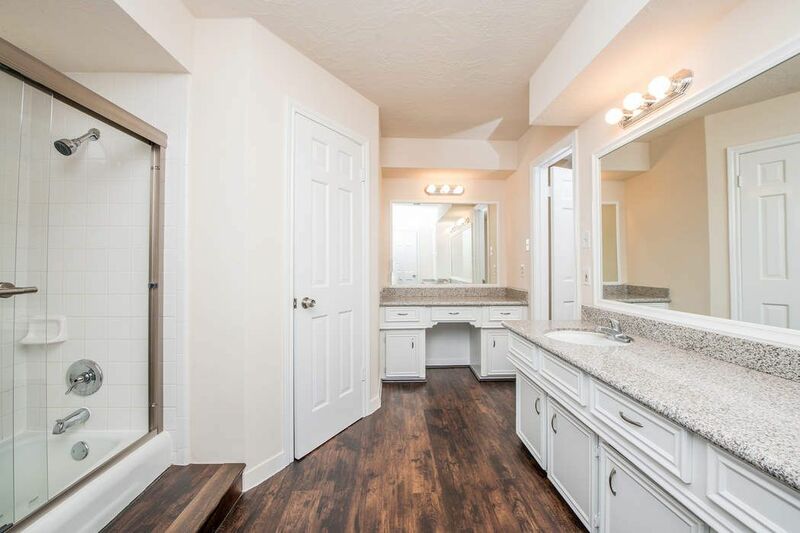 This large master bedroom is upstairs with a door leading to the upstairs patio and an ensuite bathroom. 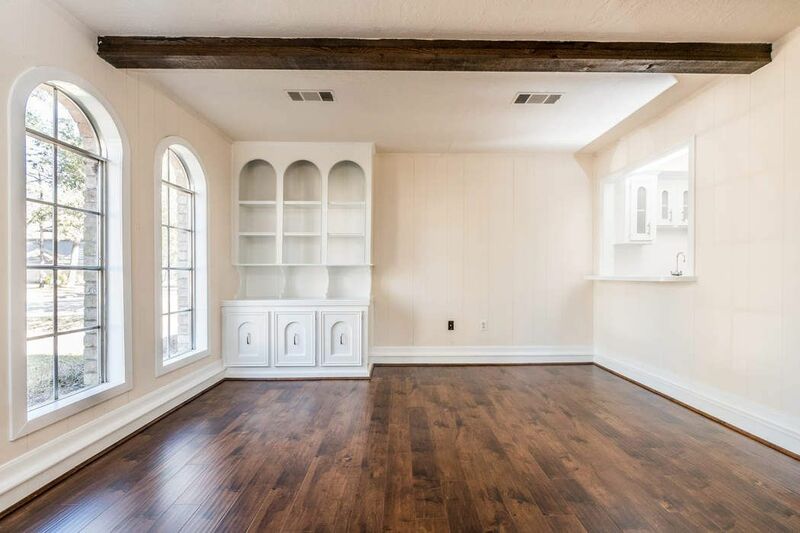 The living room has built in shelving as well as beautiful ceiling beams. 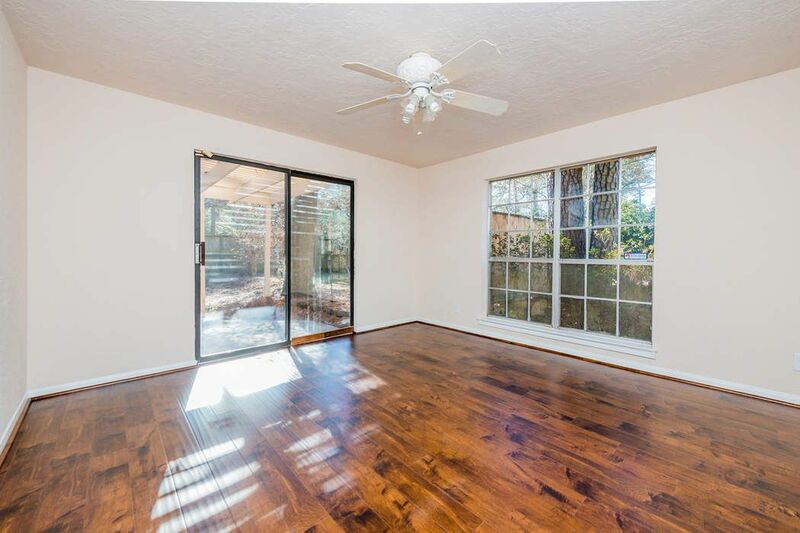 Private master patio with private access. 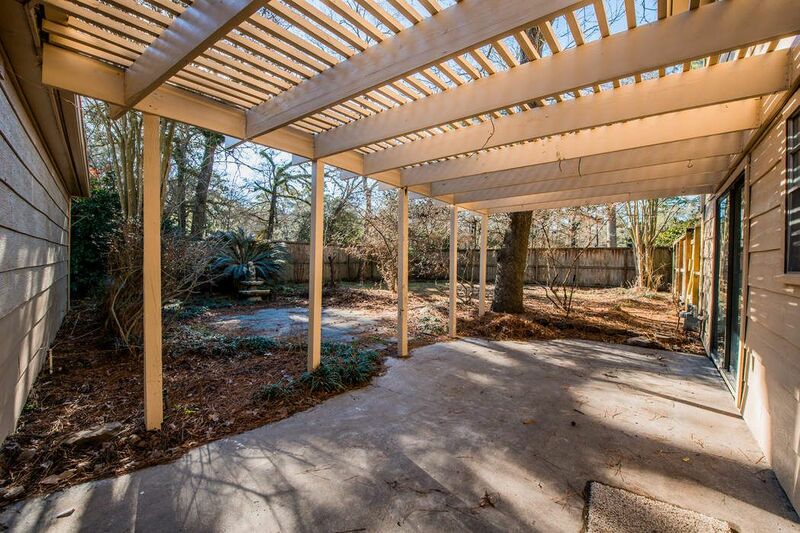 Outdoor living and entertaining space with a new pergola. Backyard area perfect for entertaining. 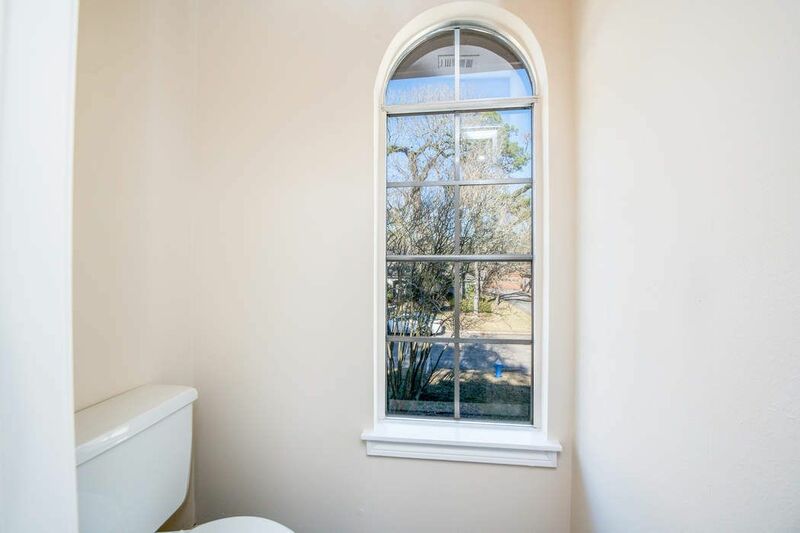 $234,000 4 Bedrooms2 Full / 1 Partial Baths2,692 sq. ft. 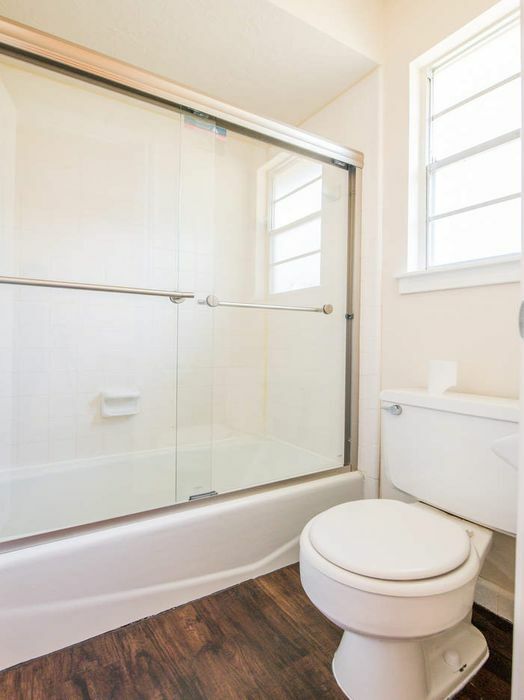 Spacious 2-story home, recently remodeled and updated. 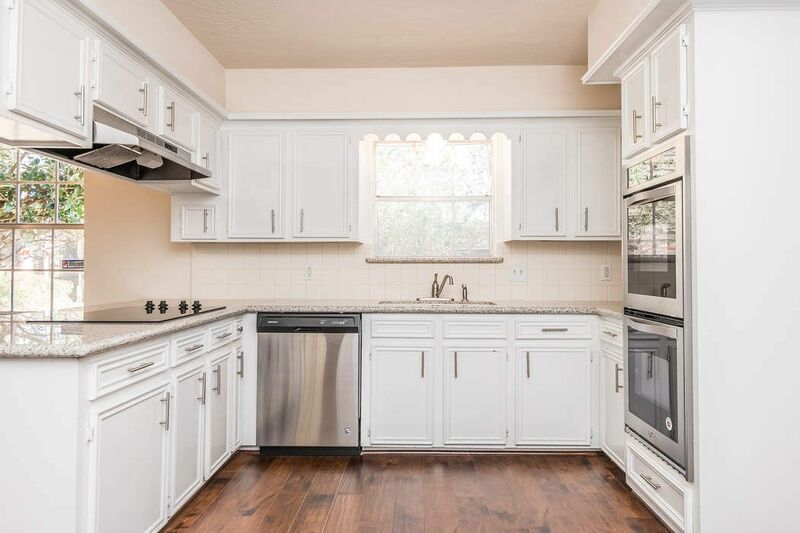 New hand-scraped wood laminate floors, granite countertops in kitchen, stainless steel appliances, double oven, carpet upstairs, waterproof laminate floors in upstairs baths and all new updated lighting throughout. New paint inside and out. Repaired garage door, partial fence replacement. New back door and new stairway handrail. 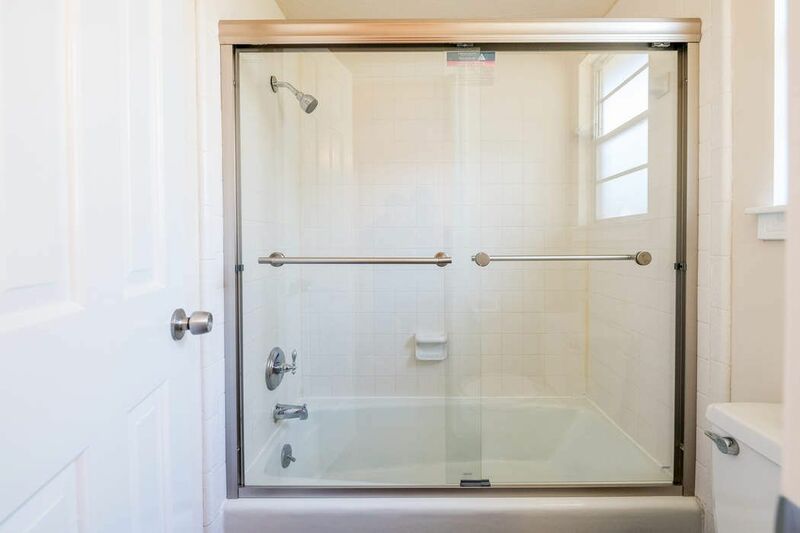 New clear glass shower doors on both showers. 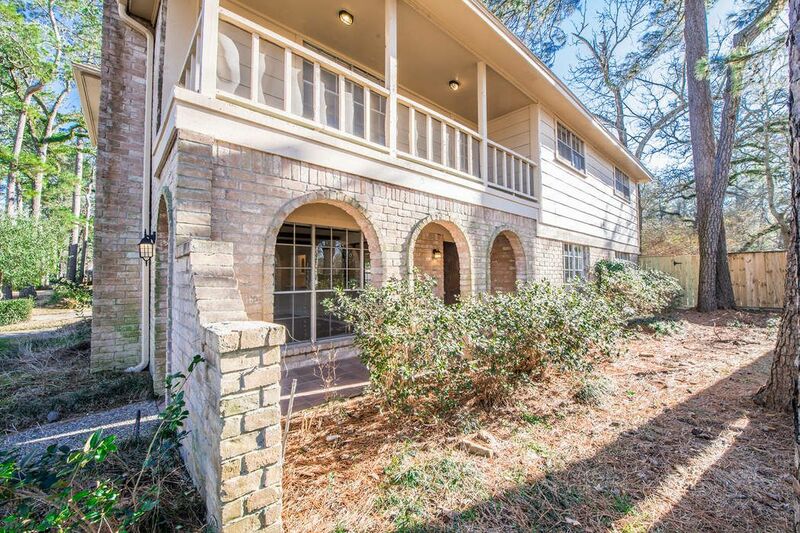 Spacious living room with brick fireplace, double vanity in both the hall bath and master bath, dual master closets, bar ready for entertaining, kitchen with breakfast bar, master bedroom balcony and tons of natural light. 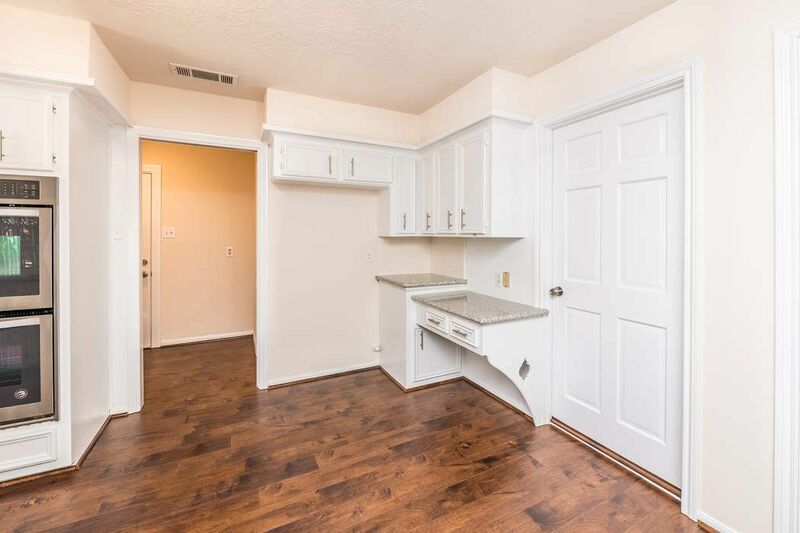 Did not flood during Harvey.